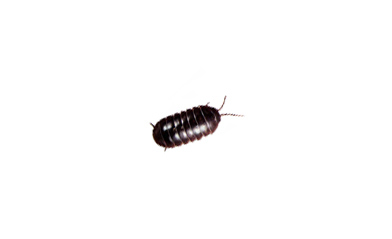 Pill bugs are more closely related to crayfish than insects. They feed on decaying vegetable matter and are found in damp places, often nesting in wet mulch. Removing organic debris from your yard, like moist vegetation and leaf litter, will minimize infestation. Mulch should be kept under 2″ thick and set back from the foundation. Exterior cracks should also be sealed.